When one thinks of the quintessential Christian Right university, Liberty immediately comes to mind, perhaps followed by Bob Jones. Here in Ohio one thinks of Answers in Genesis University, a.k.a. Cedarville. But there is another school that deserves placement at the top of the Christian Right list: the College of the Ozarks (C of O), in Branson, Missouri. The school refers to itself as “Hard Work U,” and for good reason. Students work on campus 15 hours a week during the semester, plus two 40-hour weeks when school is not in session, all toward the end of being able to graduate from C of O debt free. This is quite the benefit, especially given that most of the students (70% of whom must be from Missouri or Arkansas) come from families for whom paying for college would be a hardship. That said, the education that students receive at C of O is a very particular Christian Right education. As regards the Christian part of the education, the school affirms the Apostles’ and Nicene Creeds, and requires that students take two courses in “Christian Worldview” (this emphasis on a single Christian “worldview” that is at odds with “other prevalent worldviews” is very much in keeping with other evangelical colleges). Also in keeping with other evangelical institutions, C of O is also hardline in its attitudes regarding sexuality, so hardline that the Princeton Review rated the school the most LGBTQ-unfriendly campus in the United States. Since the Vietnam War, unfortunately, higher education has drifted farther and farther to the left. In my opinion, we have too many colleges and universities that have become little more than liberal enclaves of snowflakes that whine about everything and accomplish nothing. Davis has been C of O president since 1988, and much of what he has achieved in those three decades is laid out in a largely admiring piece in Forbes, “Bible Belt Ivy.” The “Ivy” refers not to scholarly achievements on the part of the school’s faculty, nor to the academic quality of the school’s students, but because C of O accepts but 11% of its applicants, and because the school’s endowment is approximately 500 million dollars. In fact, the school has an endowment-per-student ratio that ranks the school 59th out of Forbes’ top 650 colleges. While the article’s author does not make the point, the latter is not particularly shocking. It would make lots of sense that wealthy conservative donors would be pleased to give money to a flag-waving institution that is lodged on the right edge of the political spectrum. It is also odd that the author simply reports the 11% acceptance rate without asking what criteria are used by C of O in saying yes or no to applicants. Given that – as noted in the article – 75% of the students have ACT scores below 25, it would seem that academic qualifications are not the primary measure. One has to wonder if there is an ideological test that is used to select students, to help ensure that the students who attend are ones who would support (or, at least, not raise questions about) the school’s Christian Right commitments, who would enthusiastically welcome Fox and Friends to campus? Actually, there is nothing in this article to suggest that there any dissenters among faculty and students at C of O. But surely there are, as there are at places such as Liberty, Bob Jones, and Cedarville. Surely there are folks at C of O who struggle with the school’s aggressive militarism and anti-LGBTQ hostility. Surely Jerry Davis has not succeeded in creating a hermetically-sealed Christian Right bubble. I view all of this from an unusual vantage point. 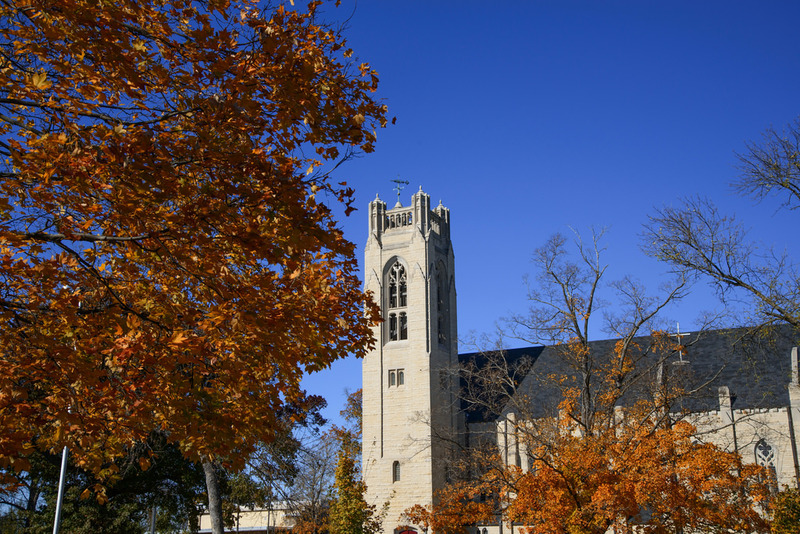 I spent the first four years of my career as an Assistant Professor of History at the College of the Ozarks. In fact, our family drove out of Branson the very week that Jerry Davis arrived at the school. More on this in the next post. High-tailed it just in time. We have contacts with LGBGQ students and alumni at many schools – never met any from C of O.
Dan Marvin….you haven’t met any LGBTQAI alumni from C of O because you haven’t been looking in the correct places. If you have any resources to share that would be helpful, please let us know!